Located in The Village @ Gruene Condominiums, this beautiful second floor condo, named “Tejas”, is the best that New Braunfels has to offer with excellent views of the Guadalupe River and the entire city! The quaint little town of Gruene is located right inside New Braunfels and the Tejas is the perfect place for family and friends to gather for their vacation getaway! 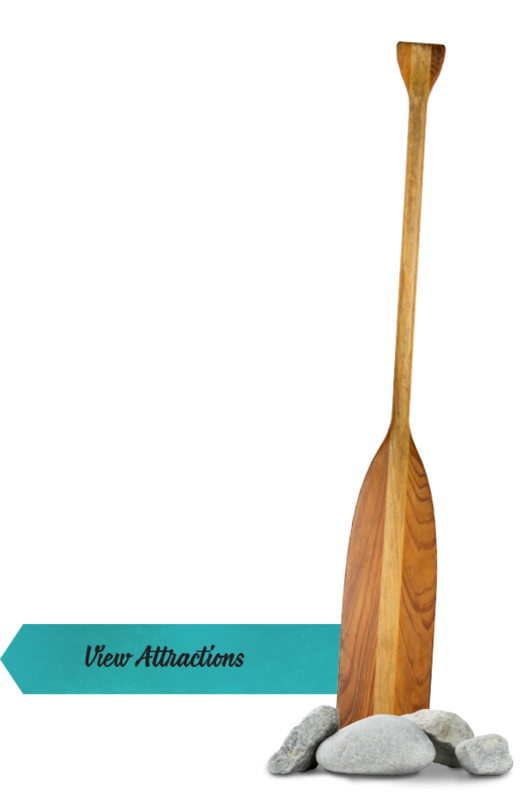 During the day, enjoy rafting or floating down the Guadalupe River right outside your back door and in the evening relax while you watch the sunset over the hill country on your private patio. Need Room for a larger group? Tejas has a ‘twin’ condo named ‘Fiesta’ listed right above. These two condos can be connected on the patios making it a perfect place for larger families or a group of friends. Together they will sleep 16-18 people. Tejas, which is Spanish for Texas, is decorated in a charming ‘Texan’ theme. Hand stitched quilts like grandma used to make can be found in every room along with flat screen TV’s and DVD’s. The living area includes comfy leather sofas and accessories which make this the perfect condo for anyone who wants to experience that native Texan charm. A Large Flat Screen TV, along with an extensive library of DVD’s, is also provided for a fun night of popcorn and movies. The condo has a fully equipped kitchen including brand new stainless steel appliances. A long bar with seating provides an area to either converse with the cook or to enjoy your favorite outdoor grilled meals. 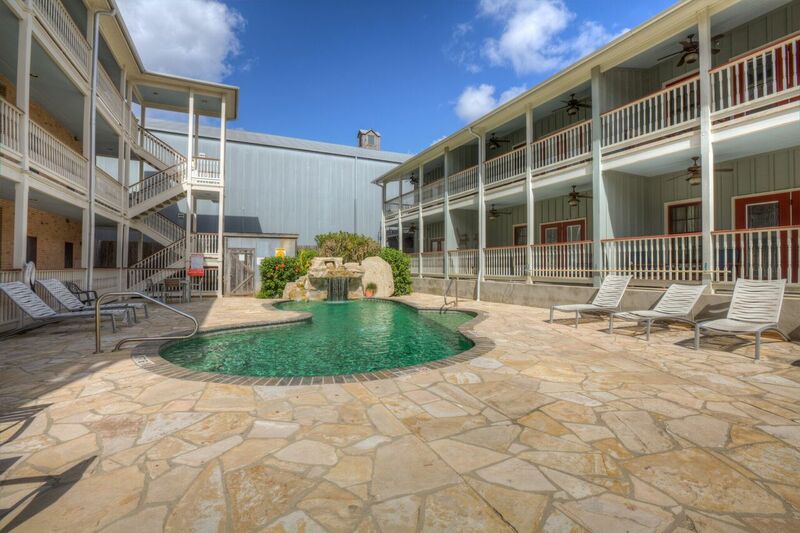 The balcony of each condo overlooks the city of New Braunfels and the river. Dine alfresco while watching the sunset over miles and miles of hill country. On site amenities include a limestone waterfall and pool area to enjoy the summer sun as well as outdoor grills and picnic tables right on the banks of the Guadalupe River. An elevator is also provided for the convenience of the guests. Washer and Dryers, Cable TV and Wireless Internet are amenities that are provided at no extra cost. All shopping, restaurants and live entertainment are only steps away from this condo. If you’re searching for a unique shopping experience, look no further than your back door.